Guitarist/vocalist Trevor William Church has already become a fave musician of the stoner-metal scene over the last five years thanks to consistently strong output from his Fresno-based occult-themed band, BEASTMAKER. While not reinventing the wheel, Church has capably aped the tropes of that end of the genre to strong results, most notably on that band's 2017 full-length, "Inside The Skull". 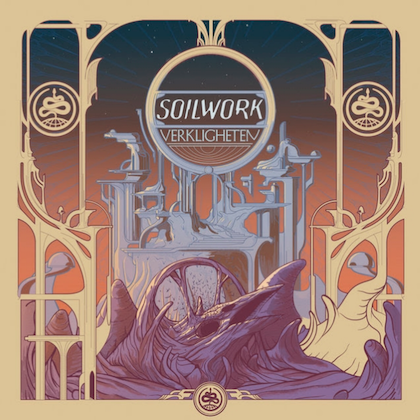 That same year, Church adjusted his musical steerings towards the modern wave of throwback traditional-metal, forming HAUNT and releasing the short-but-sweet "Luminous Eyes" EP. 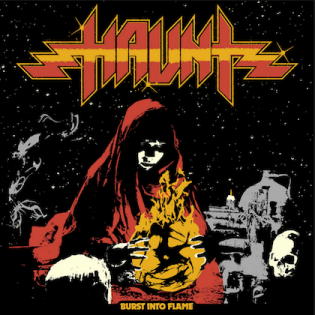 With the release of HAUNT's first full-length, "Burst Into Flame", Church once again proves adequate at cribbing from the tried-and-true playbook of his chosen sub-genre. Older fans who were there for the "Blizzard of Ozz"-era of OZZY OSBOURNE, and younger fans who got their feet wet with newer bands such as HOLY GRAIL, won't hear any sounds on this record that they haven't already been exposed to elsewhere. But the songcraft and catchy guitar solos on "Burst Into Flame" still provide plenty of meat for those already entrenched in this sound to chew away at. The opening title track serves as an effective mission statement for what awaits listeners throughout the album's 38-minute running time, launching right away with energetic guitar bursts and heading straight for verse-chorus-verse deliveries that are meant to be shouted along to in the live setting. 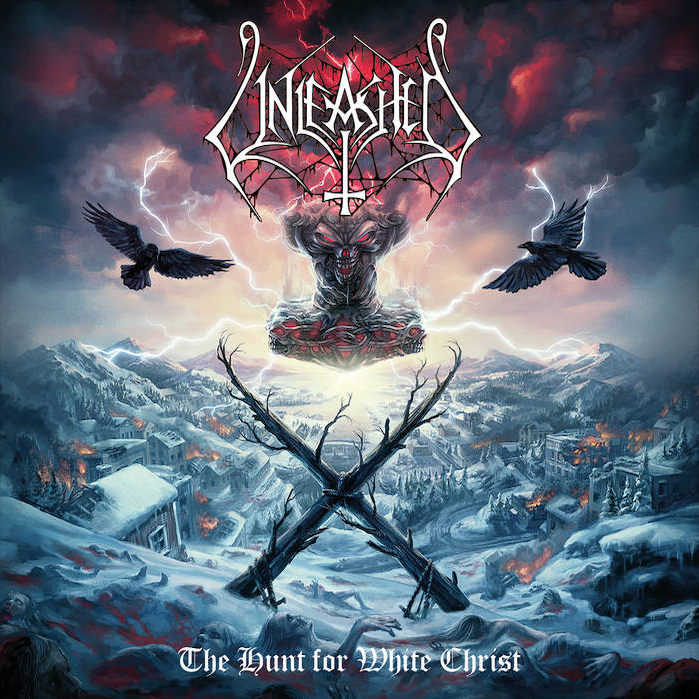 While the overall sound of Church's vocal delivery and the guitar solos are of the melodic variety, the rhythm-guitar riffs cut through with a grating grit, similar to "Kill 'Em All"-era METALLICA. 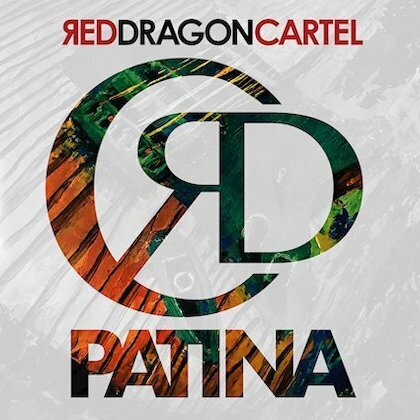 This opening salvo is one of the faster-paced tracks of the record, but still serves as sufficient prep before the record settles into its groove of delivering reliable midtempo fist-pumpers for the remainder of its duration. "Burst Into Flame" is a record that is worthy of repeated listens by two things. First, Church and the rest of the band maximize the potential for triumphantly throwing your fist in the air. All nine tracks run in the three-to-four-minute range, each song wasting little time in compacting riffs and choruses into a tight package. Tracks such as "Crystal Ball" and "Wanderlust" are built with harmonized choruses and harmonized guitar solos in mind. Which brings us to the second aspect of HAUNT's compositions that will keep "Burst Into Flame" in rotation for discerning listeners. Church's melodic guitar and vocal attack is bolstered by fellow guitarist John Michael Tucker. Tucker also plays bass alongside Church in BEASTMAKER, and whether it's the level of comfort that comes from that pre-existing relationship or not, the guitar duo has incredible chemistry together when it's time to deliver twin guitar and vocal harmonies on the album's more triumphant points. Tucker and Church especially shine on the second half of the record, providing strong solos on tracks such as "Frozen in Time" and "Heroes", which will have Randy Rhoads fans salivating. These guitar harmonies also bring the record to a strong conclusion on album closer "Looking Glass", ending with a sixty-second blaze of guitar histrionics before returning to one final shout-along chorus to end the record on a strong note. Originality is hard to come by in the modern heavy metal environment. But when an album comes along like "Burst Into Flame", we're perfectly fine with the expertly executed tried-and-true.